Beautifully illustrated and thoughtfully conceived, Love and Misadventure will take you on a rollercoaster ride through an ill-fated love affair-from the initial butterflies through the soaring heights to the devastating plunge. And, in the end, the message is one of hope. Lang Leav is a poet and internationally exhibiting artist. Her work expresses the intricacies of love and loss. 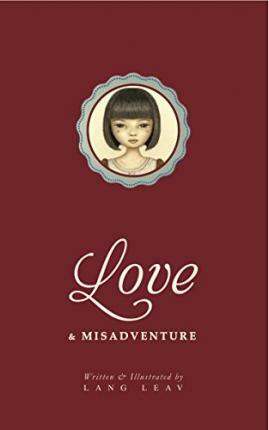 Love & Misadventure is her first poetry collection.Lang Leav has an unnerving ability to see inside the hearts and minds of her readers. Her talent for translating complex emotions with astonishing simplicity has won her a cult following of devoted fans from all over the world. * Number 1 Amazon Bestseller in Love Poems - self-published edition sold 4,000 copies in 3 months.